Iran is in the news again. They have just mastered the process of enriching uranium, it seems, so that means atomic weapons are in reach for them. It just adds to the saber-rattling that is all too common in Middle-Eastern politics. Of course, the threat could be very real in the future; the other Islamic country that has The Bomb is Pakistan, but so far they have acted responsibly, showing restraint in their dealings with India over disputed land. Iran is a different situation, however. Governments since the Shahs time have demonstrated that they are against the U.S. and the West, and that they support international mischief-making in the name of Allah. That is perhaps why In Search of Heaven by Ata Servati is such a breath of fresh air in the stagnant politics of our day. Servati is an Iranian who left his homeland in 1975 and settled in the Los Angeles area. He brought with him knowledge of an Iranian folk hero from the 1900's who is unknown to most Americans. That unlikely hero is Howard Conklin Baskerville, and he is the subject of Servatis book. Baskerville was a Nebraska boy who was unsure what he wanted to do with his life. He attended Bellevue College in his home state for a while, and then was accepted at Princeton University. He could have gotten a job on Wall Street upon graduation, but he wanted to travel and, coming from a Christian home, he thought about the possibility of doing missionary work. Although he didnt have a call to serve in a particular country, he learned from the Presbyterian Missions Board that there was an opening for a short-term teacher in Tabriz, Iran. Of course, back then, Iran was known as Persia, and it captured the imagination of the young man who knew little of the world. Apparently, Baskerville got the job as a short-term teacher in Tabriz due largely to a letter of recommendation from his history professor, Woodrow Wilson. 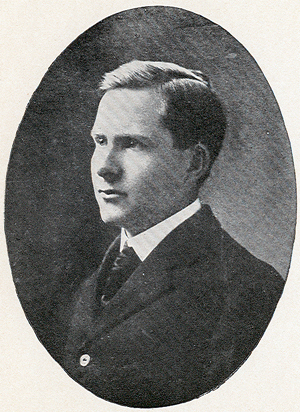 By the time of Baskervilles graduation in 1907, Wilson had become president of Princeton, and of course he later became the 28th President of the United States. In one of those interesting twists in history, Wilson became the architect of American foreign policy during the 20th Century, until abandoned by our present administration. The Woodrow Wilson School of Public and International Affairs at Princeton University stands in testimony of his ideals, however. In his early years as a student, Woodrow Wilson was said to be rather immature and precocious. Perhaps he saw some of that in Baskerville and thought that a term in Persia might mature him. 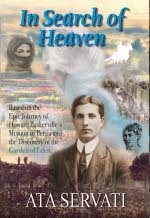 As Servati points out in his book, Baskerville was idealistic, and a champion of the underdog, even though the politics of Persia should have been out of his purview as a newly arrived missionary teacher. From his arrival in Tabriz, Baskerville was caught up in the drama of the approaching political showdown. He befriended many leaders and questioned them about their views and how Persia would benefit if they had victory, either in the Assembly or the battlefield. Ultimately, he cast his lot with Muhammed Hassan Sharifzadeh, Hajji Agha and other friends who wanted to bring even-handed democracy to the Persian people. In reply to your letter of resignation from your position of teacher, allow me to say that I regard your contemplated course of action as unwise, rash, and impractical, as founded on a grave error of judgment and certain to lead to serious consequences to yourself and others. I, as a friend, must advise you strongly against any such course. If you acknowledge my authority, I would enjoin you from it for the common good. I regard your first obligation as to the school and still look to you to fulfill your contract as a teacher. Baskerville ignored these pleas, trained a platoon of Persian soldiers, and, during the first attack on the first day of battle, was killed by a bullet in the heart. At first blush this does not seem like a very triumphant tale. It seems more like a story of impetuous youth gone wrong. Yet, Baskerville became an instant folk hero to Persians, and they honor his memory to this day. In the midst of all the anti-American rhetoric were hearing, many ordinary Iranian citizens continue to respect the U.S. because of the zeal and sacrifice of Howard Conklin Baskerville nearly 100 years ago. They learned about him in school, as one might learn about Patrick Henry in America, and over the years Baskerville has become the stuff of legend. Ata Servati has written an interesting book that is well worth reading. It is not a conventional non-fiction book, as one might hope for in a biography. Yet, it is not an historical novel, though many will think it is closer to being that. Actually, it reads more like a movie script that floats over the action rather than being intimately involved in it. Who will be the actor that fleshes out the rash humanity of Howard Baskerville? Will it be Brad Pitt, Val Kilmer, or some brash newcomer? Perhaps it will be a movie someday, but in the meantime you can enjoy this book simply because it demonstrates how unclouded idealism can engender mutual respect among people.